I just got back from the best vacation ever!!! My hubby and I visited the Four Seasons Resort Hualalai. I think it was the most beautiful resort I have ever seen. The service and amenities were absolutely heavenly. But back to reality now. I was so disappointed this morning when no one was saying "Anything I can get for you Mrs. Marks?". Instead, my older son had bronchitis and I had to go to the dentist. Yes, fun times and back to reality for sure. 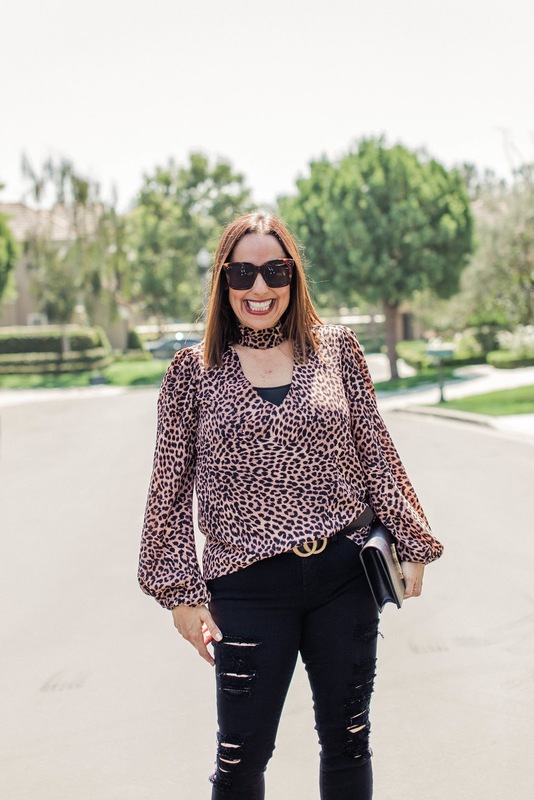 I still feel like I can try to prolong my vacay in this adorable leopard print Vici top. I just love the neckline. It's so flattering right? 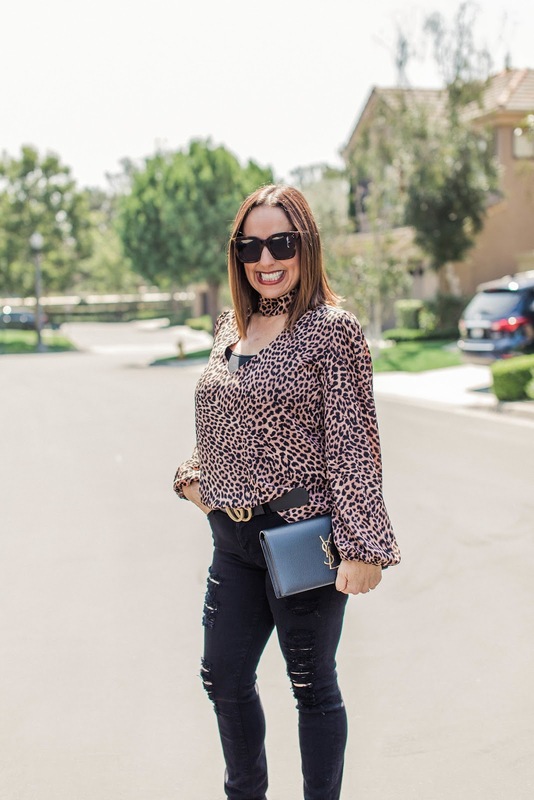 Do you own any leopard print pieces? I highly recommend that you add one to your existing wardrobe. 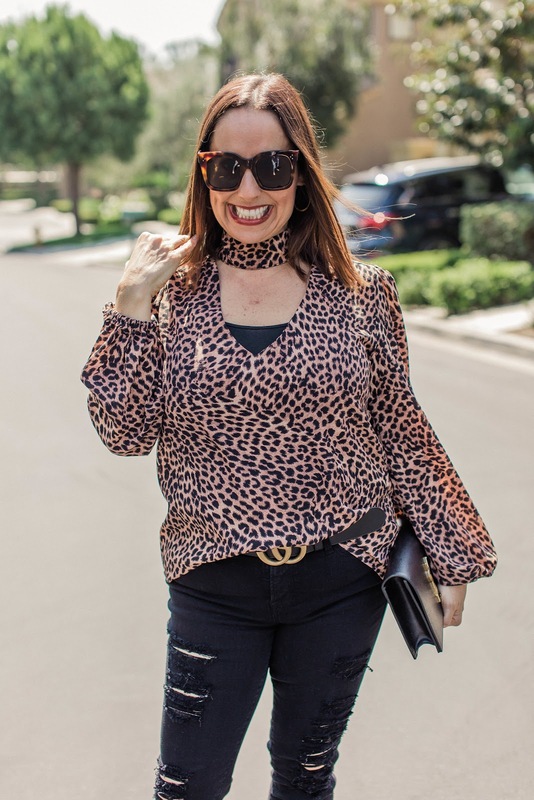 You can get a cute leopard top like this one, or even a leopard print sweater, some fun pants, or heels and some booties. Just remember to keep the rest of the outfit simple. I paired this top with some distressed black skinnies, my favorite belt and some great heels. I can't wait to hear how you add some leopard into your life. Let me know in the comments. Thanks to Gabi Wells for photos. You can shop this look from the links above. Happy Reading!!! !